Overlooking the leafy expanse of Clapham Common, our first bakery-café is located at 25 The Pavement. 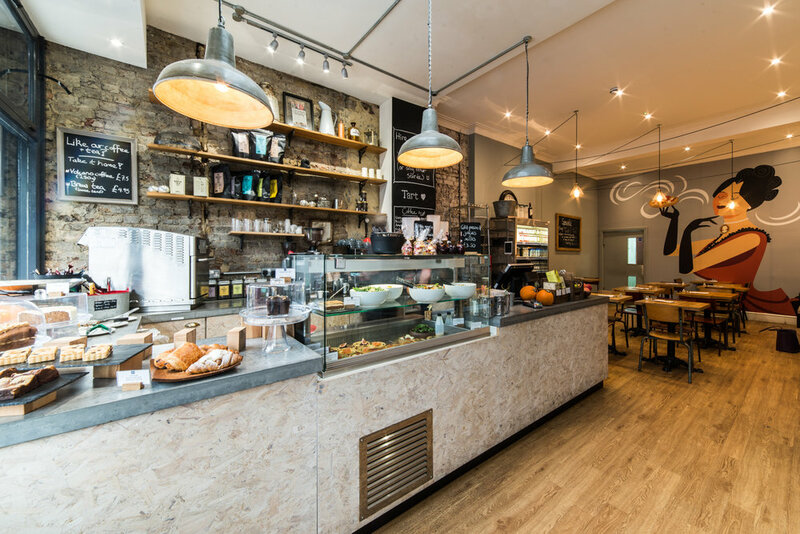 Just two minutes' walk from Clapham Common tube and with the park entrance on our doorstep, our art-filled café is the ideal spot for an early coffee, sunny brunch or lunch to take into the park. A firm favourite with the locals, we've come runner-up in the café section of Time Out Love London Awards every year since we opened.